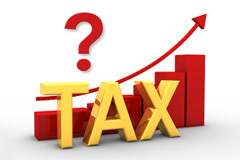 Recently we have seen recommendation of FICCI on income tax rate change in post New Tax Slab – I wish. As per FICCI highest income tax rate of 30 percent should be levied on income above Rs 20 lakh as against Rs 10 lakh currently. Another recommendation is given by C Rangarajan, a key economic advisor to Prime Minister Manmohan Singh that government could consider imposing a marginal tax rate higher than the current 30% on those with “substantially higher income”. This is first Indian policymaker who is considering higher taxes for super rich. This move like US where in tax is raised on wealthy for the first time in two decades. He thinks Fiscal deficit cannot be contained by restricting expenditure alone one should think of other unconventional ideas with other country is following. He said why can’t we think of having a rate of tax higher than the current peak of 30% on substantially higher incomes? Apart from this he is of the opinion that we need to rethink current policy under which dividends were tax-free in the hands of investors, though companies pay a dividend distribution tax of 16%.I am not saying that we should rush in, as sentiment is just picking up and we should not create a situation where the gains are lost. But at the same time, we need to look at the various possibilities of raising revenues. 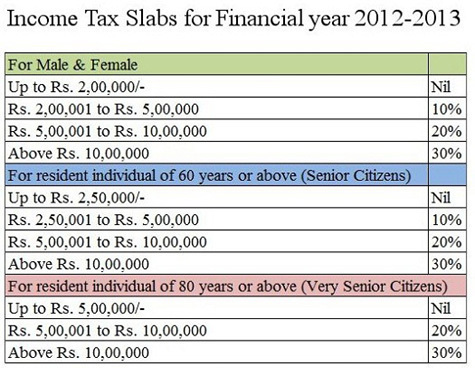 Current tax slab details are given below. Now we have two set of story FICCI is saying to 30% is to be imposed on income above 20 lakh and C Rangrajan is saying that increase tax slab on super rich. Government advisor always think of increasing tax rather than reducing of finding other ways. Expert like C Rangrajan should simplify the tax system and not find excuses for govt to loot money by raising Taxes. If revenue is only concern boost tax collection, connect all banking transaction by core system and monitor it. Apart from that connect all shops with electronic billing system with Unique Shop ID. Capture Income against Purchase cost and Tax there itself. Tax Luxury at higher rates including tobacco, soft drinks, liquor, Hotel expenses, Foreign trips. To save losses, cut the Ministerial travels to 6-10 per annum (no limits currently) and 2 travels for family members. Review assets of all members in parliament yearly and check rise in asset values. Grab every real estate transaction where most of Black money is involved. Try to get all black money which is blocked in swizz bank. Fix Biggest problem of Indian economy corruption and everything will be fixed. Currently all the taxes are levied at salaried & middle class as against Businessmen. There are farmers earning more money in real estate than a CEO but remains untraceable and no income tax is recovered. Some serious thoughts need to be put in this time budgets. Government always tries to play smart with us they give relief on one hand by increasing tax bracket but on other hand they increase tax like service tax. Believe me or not in India only 2.86% people pay tax. India’s population is 122 Cr and we have only 3.5 Cr tax payer. This data is not mine it is official data published on Government website. In USA 45% tax payer pay tax. Expert like C. Rangrajan may draw government attention to follow US policy where in tax is raised on wealthy. At the same he should think of following US in terms of increasing number of tax payers. Every time tax hike take place middle class or salaried people are getting caught this time it is good that government is targeting super rich but we need to see this thought will become reality or will be dream only. If you have any other thoughts in your mind you may add comment. Jago India Jago. I agree with your thought. Government should reduce tax and not increase.